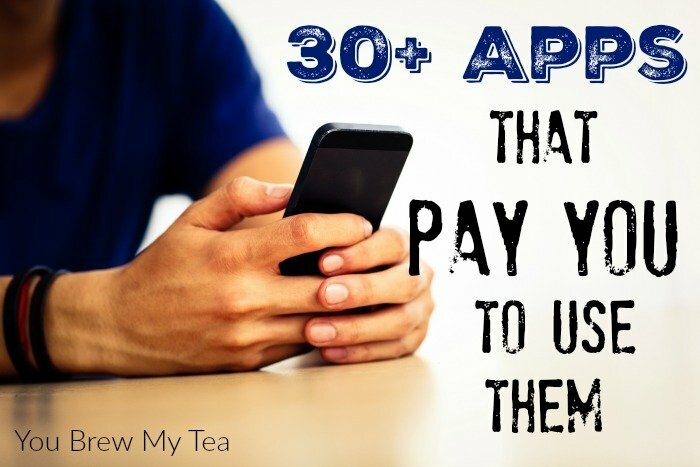 Last week I post about 30+ Apps That Pay You To Use Them. I had a few ask if this was legit, and how much to expect from using those apps. 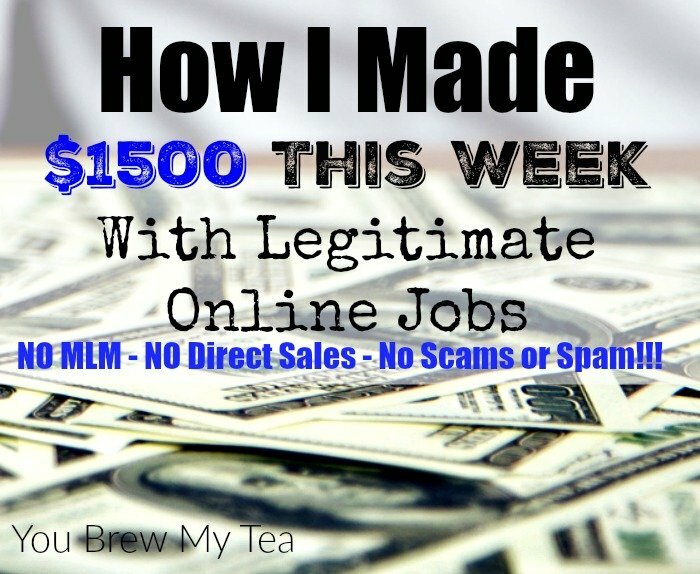 So, I decided to write a follow-up post breaking down how I made over $1500 this week working from home. I’ll preface this by saying, not all of these numbers are going to be routine each week. Many, in fact, are monthly payments. So, this is a good breakdown of one week, but some weeks may be $500 and others $2000. It varies widely depending on what work I am doing at the moment. I will link to the blog posts that give more details about some of these resources below, so make sure to check those out so you can get a better idea of what I am doing to make this money. There are some added details in those posts that make it easier to understand and will give you more information on how to make money from home. These are all apps that I downloaded to my smartphone and signed up with an account for. Each app has different offers, requirements, or abilities to pay back rebates on your regular purchases. I love that these don’t take much, if any, time from my regular routine each day. 1-2 hours a week using these can easily bring an extra $100 a month if not more. This post does contain some of my affiliate likes for apps and such. Just a heads up that in some cases I may earn a reward for your sign up. I earned 1132 Swagbucks this week and cashed in 1000 for a $10 Amazon Gift Card. I participated in the daily poll and took 2 surveys each day. A few surveys gave me 50 Swagbucks, and several were worth 200 Swagbucks. I also ran the Swagbucks app on my phone to play videos while I worked earning an extra 77 points this week just by letting it run while I did other tasks. I like Swagbucks because I can use it on my phone, or on my laptop. Sign up with my referral link online, via Android, or iOS. Inbox Dollars is hit or miss, but I happened to receive a nice large survey twice this week that paid out $7 and $5 respectively. That is all I did for this, but usually, I will check in every day or two for surveys or offers that are easy to complete. It usually takes me 3-4 months to reach the $30 payout amount, but since I am only doing an occasional survey it’s an easy cash out over the course of a year. Sign up with my referral link online, via Android, or iOS. I have this installed on my lock screen along with Fronto listed below. Both now have offers you can sign up for to earn more points, but I only use this to earn “carats” when unlocking my phone. You can cash out via Paypal at 2,040 carats for $2. I actually made closer to 4000 carats this week so approximately $3.50. I plan to let this build up and cash out for a larger sum later. 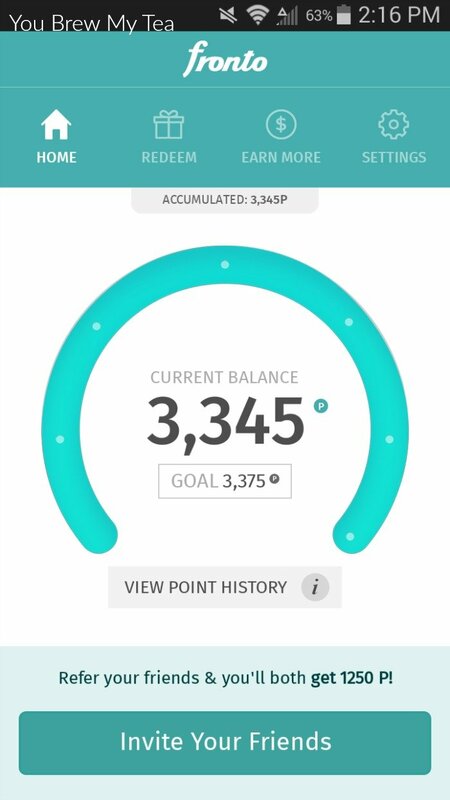 Sign up with my referral link or via Android. Fronto has more offers and things to read and make points with, but I have been using just the unlock slide feature for now. I am trying to avoid spending a ton of time on these and letting them simply earn passive income. Every 3,375 points is $1 via Paypal. I am currently around 8,000 points for the week. Sign up using my referral link and referral code AxCC1Eyy to get 1250 bonus. On Android or iOs. 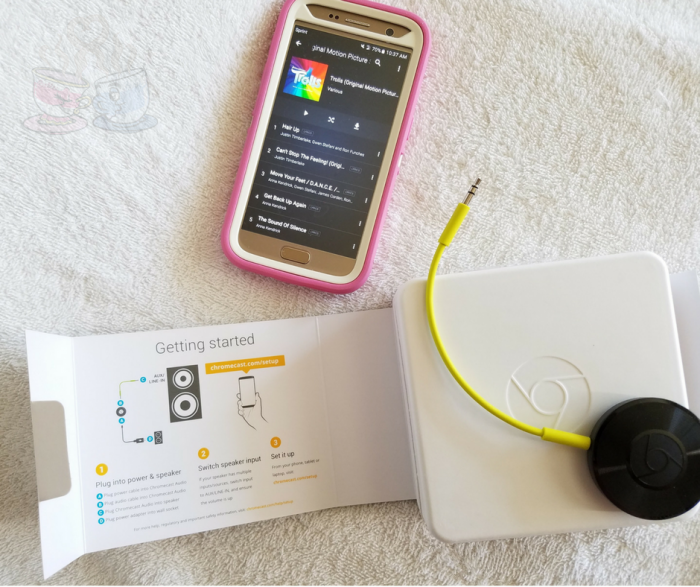 This app has videos, offers, and a daily check in you can earn credits with. I have downloaded 2 games this week for 500 credits each, completed the daily check in for 20 points, and watched numerous videos throughout the week. This morning (Saturday), I downloaded another game for 1000 points since some weekends are double points. I have a little over 3000 credits in my account for this week. You have to have 5000 credits to cash out for $5 via Paypal. This is a lot slower since I won’t do any of the offers (tend to be spammy), and will only download certain games. Use my referral code V0Z2FP. Available on Android or iOs. I left this app on to play videos for about an hour each day while I worked. I simply log in, cue up the videos and make sure to tap the screen occasionally so they don’t time out. It’s easy to have sitting on my desk while I work and earn passive income. 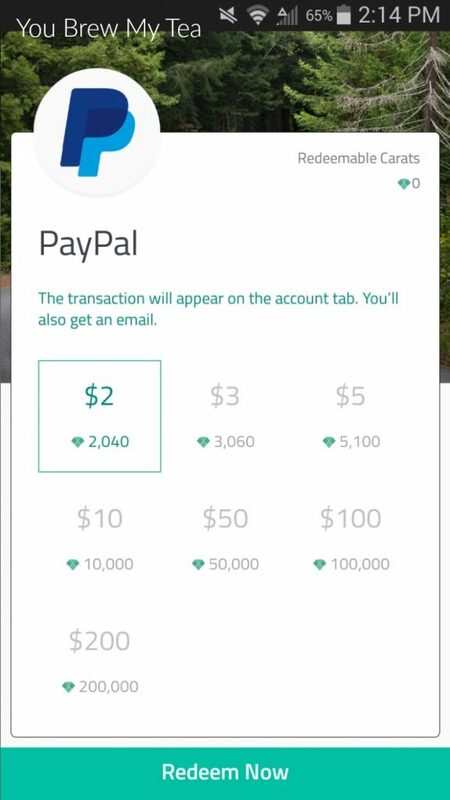 You can cash out for Amazon or Paypal at 1000 points which is equal to $1.00. 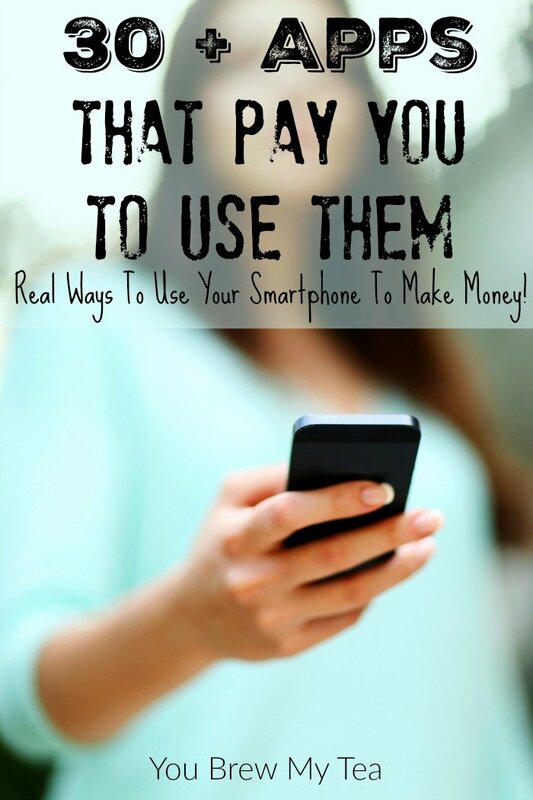 If you load your own videos onto the app, you may find yourself able to make more money. Available on Android and iOs. I loaded receipts from a Kroger trip and Walmart trip this week that had a few specific rebates on bread, bananas, milk, eggs, and one cleaning product we use. I will cash this out later when I reach the $20 minimum again. Use my referral code 3gn9xg for a bonus reward. Available on Android and iOs. I scanned 2 receipts this week from a few trips we made to Walmart and found only 1 item at a lower price in our area. I love that this gives you the lowest price in the area without having to do all of the research. Available on Android and iOs. I don’t usually do social media management for anyone other than myself and my own blogs, but I did help out a fellow blogger this week with some scheduling since she was headed out of town last minute. This was done through her social media scheduling tool and utilized a mix of her own posts, questions, and popular or trending topics for the week. I submitted an article to a well-known publication last month that was published this week and paid out immediately after publication. I often write articles about topics that are bit too personal for me to share here, or things that I don’t think would interest my core readers and share on other websites as a freelancer. This week I sold two packages of articles to two different bloggers. These are sets of articles they requested from me. I spend time doing SEO research, writing, editing, and even occasionaly include promotions on my own social media pages for these types of articles. This was for a total of 17 articles. This was a combination of 4 payments for ad services, sponsored posts, and sponsored social media promotion. I utilize this blog to promote brands and products I agree with, and often do the same on my social media pages like Twitter and Facebook. The ads you see in the posts and sidebars are also a way that I make money from blogging. 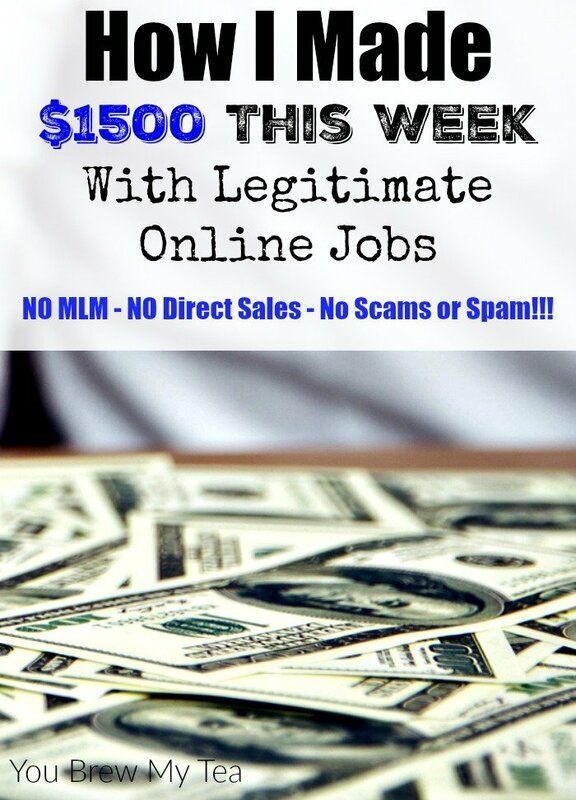 Legitimate online jobs are there to use, you just have to make time to really work them. This includes finding a niche that fits you and working hard for your clients or customers. I work a lot of really long hours as a blogger and virtual assistant. The little apps that pay me to use them make some spending money for our date nights, and that’s about it. The real inome comes from my virtual assistant and blogging work. That is where work is important. Focus, determination, and a willingness to work really hard is a must. Some may look at these numbers and think they aren’t much. Others may think they are a lot. I’ll be honest, in my community, I couldn’t make this much in a month, let alone one week, at a regular outside the home job. That said, it is still a struggle sometimes to make ends meet. Some weeks and months are less financially rewarding than others. Working from home, legitimate online jobs or not, often means feast or famine. You have to learn the ebbs and flows to make it work for your family. Let’s get serious. There are legitimate online jobs out there. Obviously, I work from home online each day and am able to not only pay our family household bills but have managed to take us on vacations, pay off debt and splurge on special things from time to time. 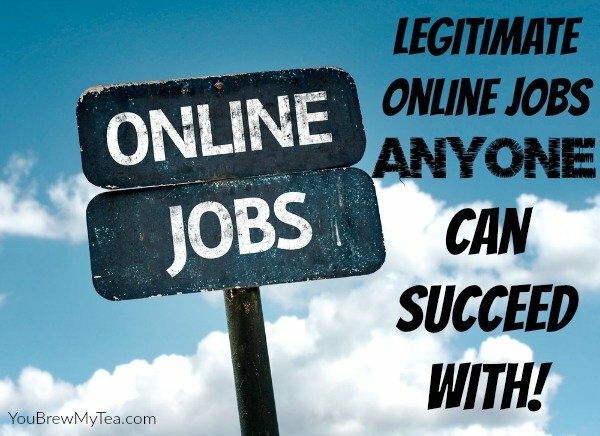 It isn’t a huge mystery of where the real legitimate online jobs are. It’s all about your willingness to work hard to make money at them. Blogging. Yes, it really is something almost anyone can do. 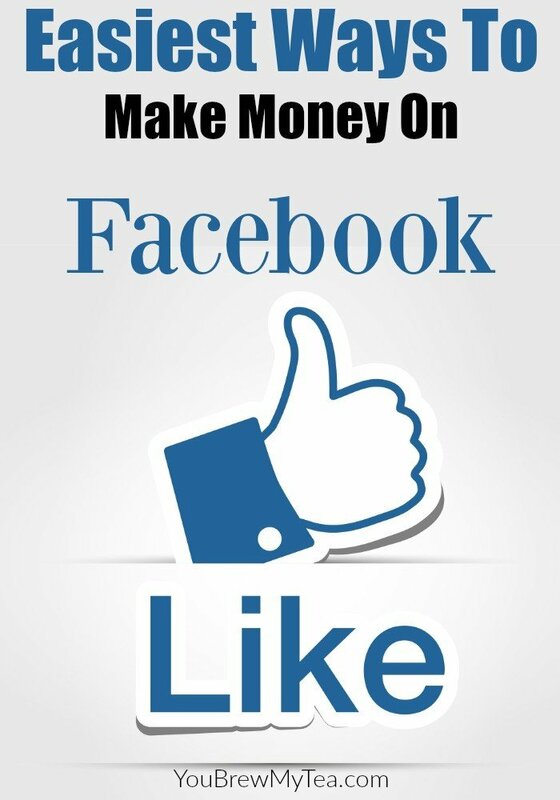 Yes, you can make a considerable amount of money doing so. However, it takes a lot of work. A few hours here and there is just not enough to make a blog bring in the traffic to earn a lot of money. So, if blogging is something you really have a desire to do for income, be prepared to put in twice as many hours as you first think you will. Understand that it is rare to become “hot” or “viral” overnight and that most of us work very hard for our pageviews, income, and social media following. I love the basic information in the site Blogging Basics 101. It really does have a lot of basics, and from there you can build and grow. It’s a good place to begin. My true favorites come from my friend Sadie at Slap Dash Mom though. She has tons of great Blogging Tips including a post about starting your blog from scratch for under $30 investment. Social Media Management. Do you ever wonder how people manage to reply to all of those comments, retweet so much or even find all of those funny cat videos? Social media managers are basically assistants that work with a website, blog or brand to help them reach their followers on various social media channels. Many people perform simple tasks like scheduling status updates, tweets, and even Pinterest pins for their clients. Some bloggers and website owners hire social media managers to simple moderate groups and pages for spam and inappropriate responses. If you feel that you have a knack for social media or have your own business experience running social media pages, this is a great place to begin working from home. Look for groups for virtual assistants on places like Facebook to connect with people you could potentially work with. Freelance Graphics Design. Graphics design is still a hot commodity in the online industry. There are tons of ways to get into this business and utilize your skill sets to make money in one of many legitimate online jobs for designers. This is best for those who are skilled in creating original artwork, but can also be a concept that works for those who use royalty free images to build graphics as well as original work. Sites like Fivver, ODesk and ELance are excellent places to look for work and put an online resume out for this type of work. Additionally, some of the same virtual assistant groups mentioned in other parts of this post can be a source of finding clients. Virtual Assistant. A virtual assistant is someone who does any number of tasks for an individual or business virtually (online) instead of in an office environment. I personally have been a VA (virtual assistant) to many bloggers over the last 6 years. I’ve done everything from scheduling social media shares to writing blog posts and creating recipes for other bloggers and businesses. Some VA’s do simple administrative tasks like sending out email newsletters, checking emails, responding to sponsor requests or even organizing spreadsheets to track income, post traffic and similar things. There is one group on Facebook that is helpful for new virtual assistants called Virtual Assistants Tips & Tricks. This is a great place to begin and learn a few things about how to price your work, find new clients and build a virtual resume. If you really want to succeed, check out the Virtual Assistant Rock Star Training course on Slap Dash Mom. It is an investment, but you will get that money back easily in your first month as a VA.
Mystery Shopper. This is a business that for some is very lucrative, but it also depends upon your time available, ease in upfront investment and of course location. A mystery shopper will go into businesses and restaurants to make purchases and evaluate specific things about the service. You may be asked to take pictures, detail the appearance of an employee or simply leave comments about the quality of the food or atmosphere in a restaurant. Mystery shopping requires a lot of attention to detail, and since there are a lot of spammy mystery shopping programs out there, I took the time to create an entire post around being a successful mystery shopper last year. It includes links to all of the valid programs, what they offer and for more information you can listen to the podcast. This is usually best for a detail oriented person with extra time on their hands who lives in a fairly populated area with a lot of opportunities to “shop”. Transcriptionist. This has been around along with data entry positions online for many years. While it is much more difficult to get started in transcription now compared to ten years ago, it still can be accomplished. 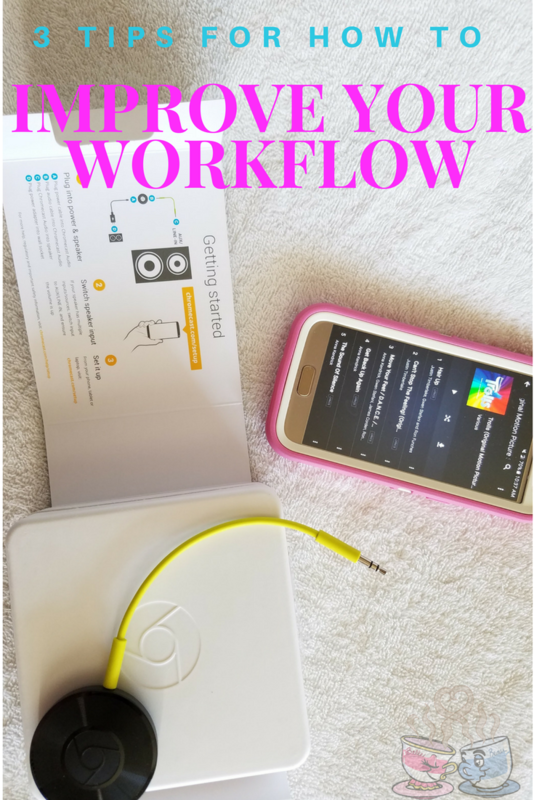 I spent time on this last year and shared details on where to go for certification, job boards and supplies in this podcast and blog post about being a successful transcriptionist at home. Auction or Classified Sales. We have all purchased something from eBay, Listia or even Craigslist at some point in the last few years. These online classified and auction sites are actually great legitimate online jobs that almost anyone can manage. Selling collectibles or wholesale items on eBay is still a great way to make extra income on the side. Listia is an auction site that is focused more on a bartering type system where you receive free product instead of money, but can still be a great way to get things you need. Craigslist and Facebook are easier for selling to local individuals instead of having to ship products. 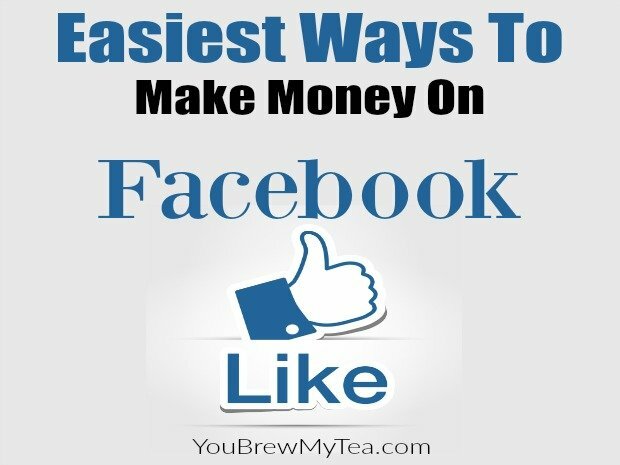 I have even written a guide for the Easiest Ways To Make Money On Facebook and the 7 Best Items To Sell On Craigslist To Make Fast Money in the last month as a start to helping you find a way to make money from home. There truly are legitimate online jobs anyone can make money and even a full-time living with. While there are 7 great ideas in this blog post, there are literally thousands of ways to make money online. What isn’t said often enough, is the fact that you truly need to focus on working hard for everyone one of these and other legitimate online jobs to truly pay what you need. Working at home online is often much harder and takes much more dedication. You can find many freelance opportunities that will make thousands of dollars per month, but they do require a lot of dedicated time. If you are ready to truly invest time and effort, this list is a great place to begin.